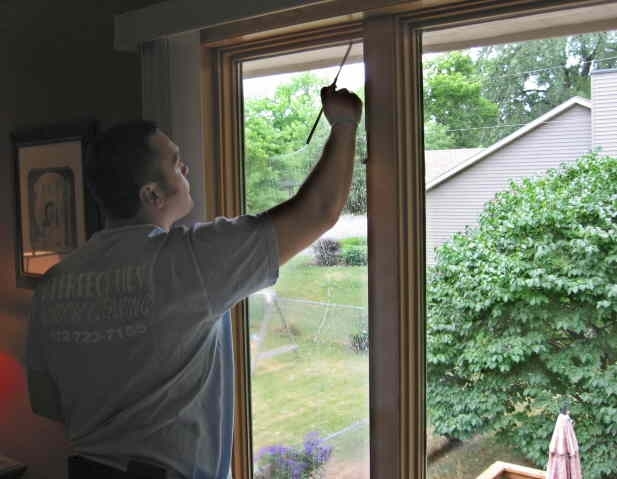 Our process is very complete leaving you with a very clean window and making you the envy of all your neighbors. 1.First we remove all your screens from the home, at this time we will clean each screen by either wet moping them or dry wiping them. The decision to do either is made by how dirty your screen is and what material is on them. 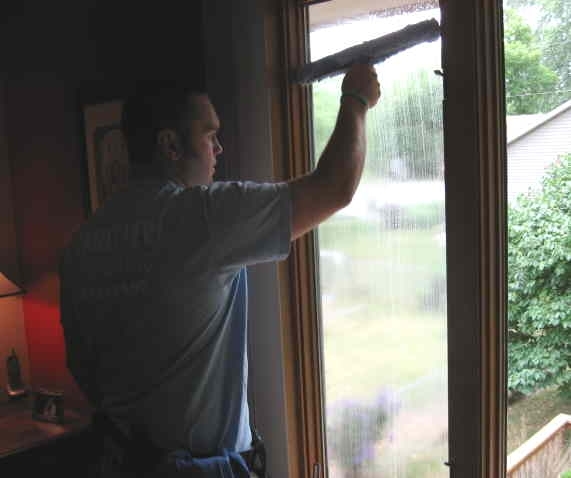 2.Next we will start washing your windows working on the inside and outside at the same time to save time. 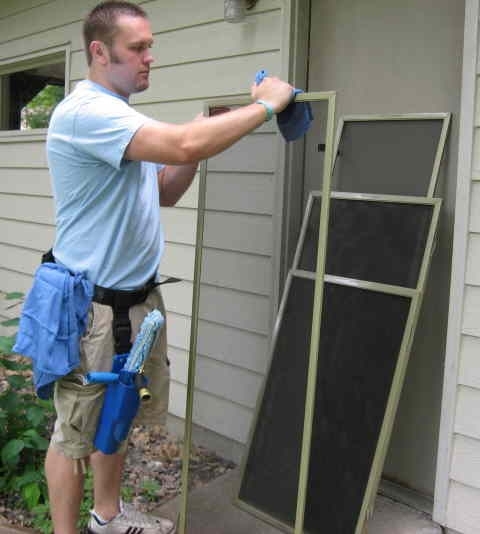 Our first step is wetting the entire window with our soft washer and our own window washing solution. 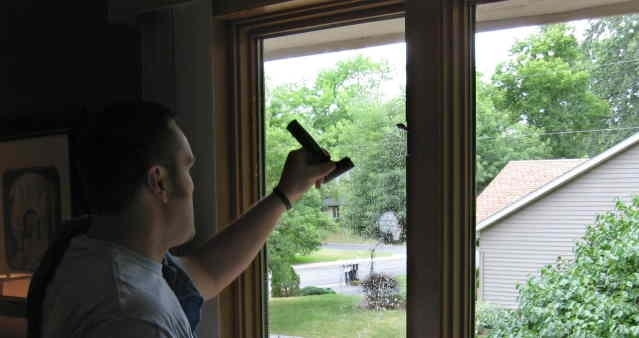 3.After wetting the window we will clean the window very carefully with a razor scraper or a safe aggressive scrubber to remove all bugs, tree sap, paint over spray and anything else that may have found its way to the surface of your window. 4.Once the window has been scraped we once again wet the window with our scrubber washer. 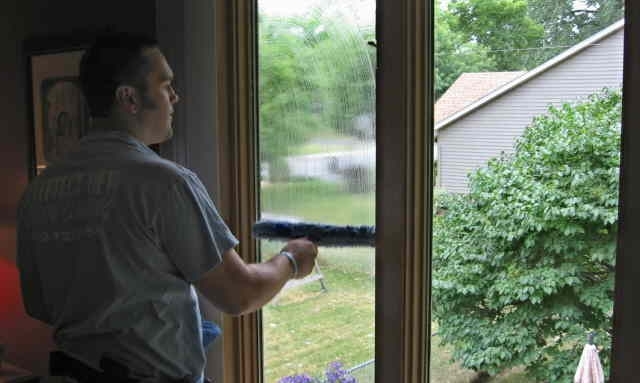 5.Now wet again we wipe the edges of your window in preparation of using the squeegee to dry your window. 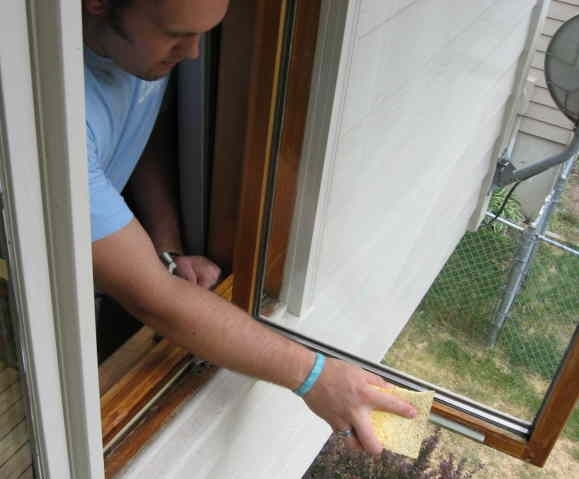 6.Now it is time to squeegee your window. 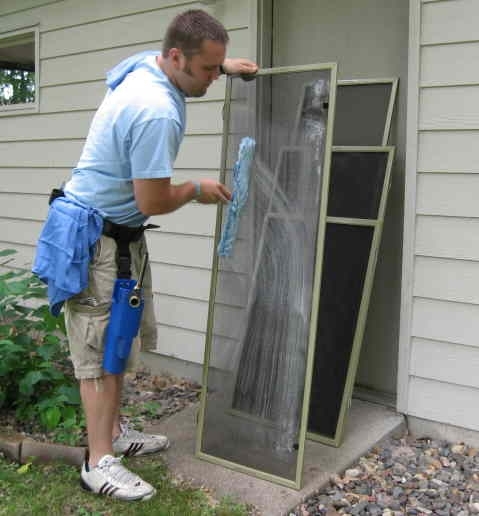 7.After using the squeegee to remove most of the moisture on the glass we finish the glass once again by wiping the edges to remove all remaining moisture. 8.Finally we will wipe down all your sills with a sponge/wet towel. 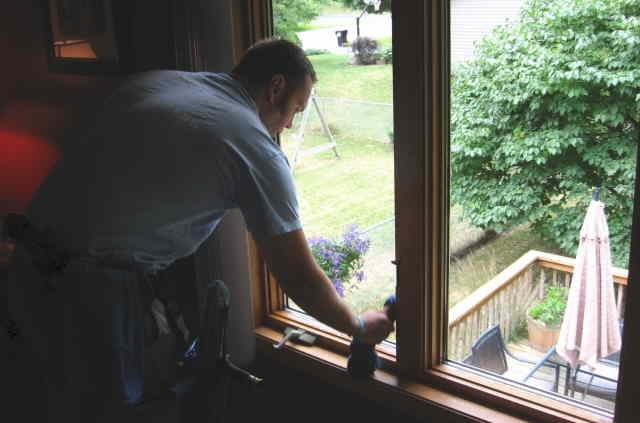 9.Once all windows are done we reinstall your screens and replace all furniture to its original location and the job is done.